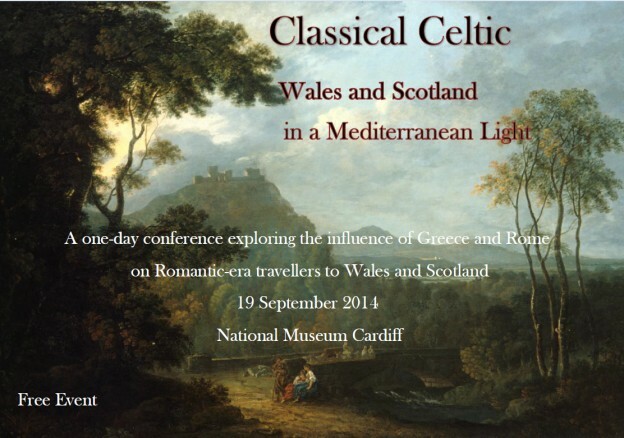 A day-conference exploring the influence of Greece and Rome on travellers to Romantic-era Wales and Scotland. Jointly organized by the University of Wales Centre for Advanced Welsh and Celtic Studies and the National Museum of Wales, to coincide with a major international exhibition of paintings by the artist Richard Wilson (1714-1782). Download the Classical Celtic Programme Final. This entry was posted in Events on 19th September 2014 by Luca Guariento.